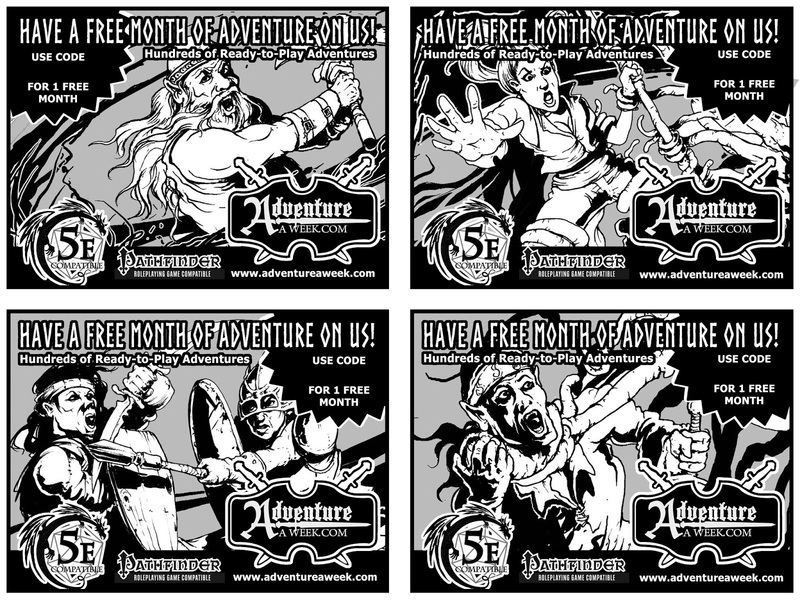 I've created a series of "redemption" discount cards for free trial subscriptions to Adventureaweek.com that are being released via various RPG box subscription services including Mythoard and DungeonCrate. 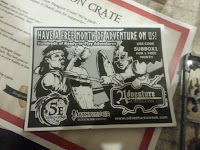 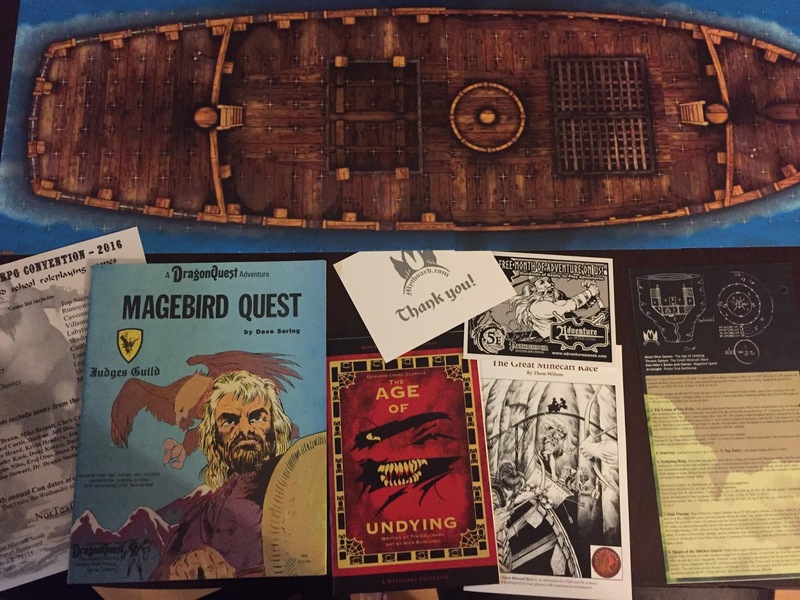 There are four in the series, and each set has it's own unique redemption code for a free one month subscription to Adventureaweek.com (including two free PDF downloads). 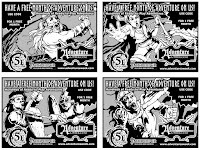 Note: the awesome stock art I tweaked, shaded, and used for these cards was originally created by Jason Walton. 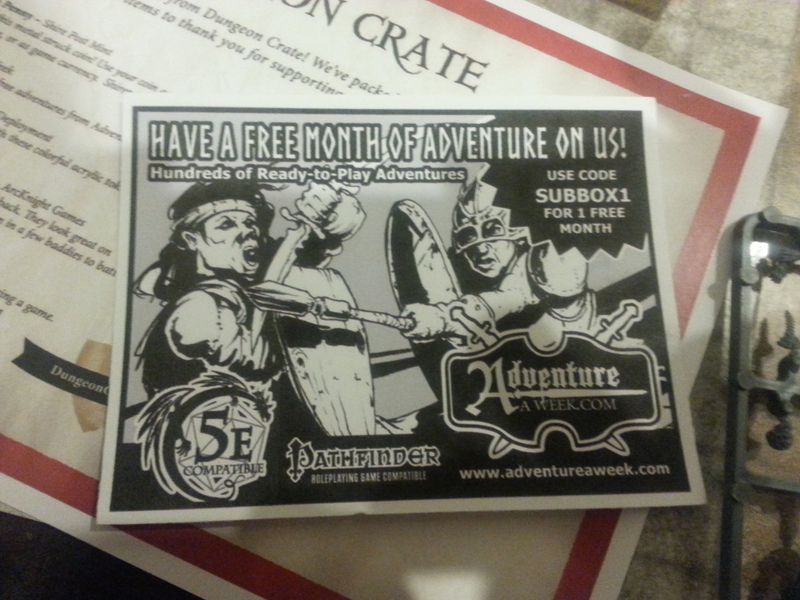 DungeonCrate card in the wild. 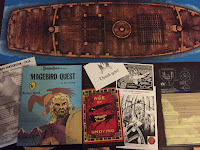 Mythoard card in the wild.